Toccara attends the Hennessy dinner in NYC yesterday, ok girl we know your fabulous now get a new gig ,so we can see more of you. 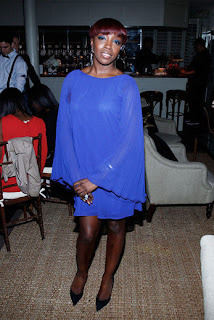 Estelle also attended the Hennessy dinner in New York City last night, I'm not to sure about that dress Estelle. 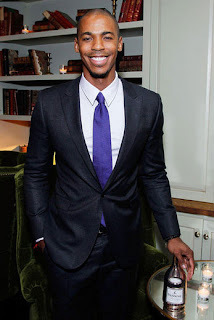 The host of the Hennessey dinner was Mehcad Brooks, he looks so debonair.